This event is for business/professional women who want to meet like-minded women. 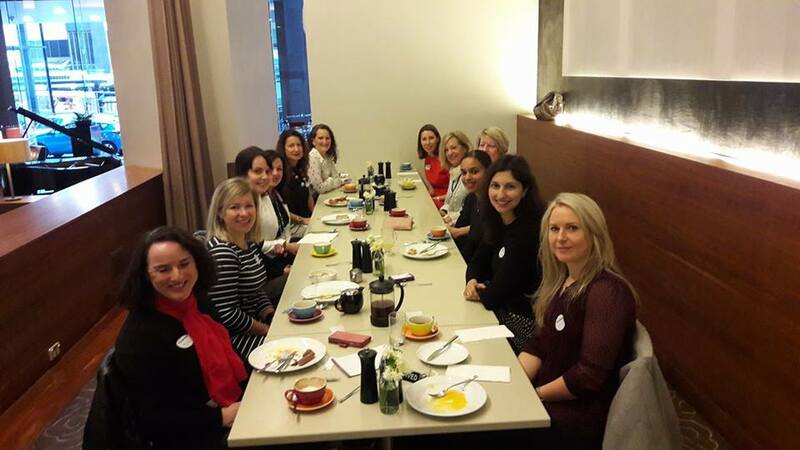 This is a relaxed event where you get a chance to meet smart, friendly women over a nice breakfast in an inviting friendly environment. The group is made up of regulars and newbies. There is some networking and an opportunity to get new business, but the emphasis is on organic networking as opposed to the "hard sell". There are also women who simply want to have a chat and connect with other business/professional women. Business Breakfast with a Twist is a regular event at the Stamford Plaza that starts at 7:30am. Don't worry if you're running late as it is buffet style breakfast. Event fee is $35 and includes full cooked and continental breakfast selection plus tea/coffee/juices. I use Meet Up as my RSVP platform so please click for info and to RSVP. .
Business Breakfast with a Twist is a great way to meet other women from all different types of business background. I have met corporates, Dr’s, Life Coaches, Artists, Sports and Nutrient specialists and the list goes on. 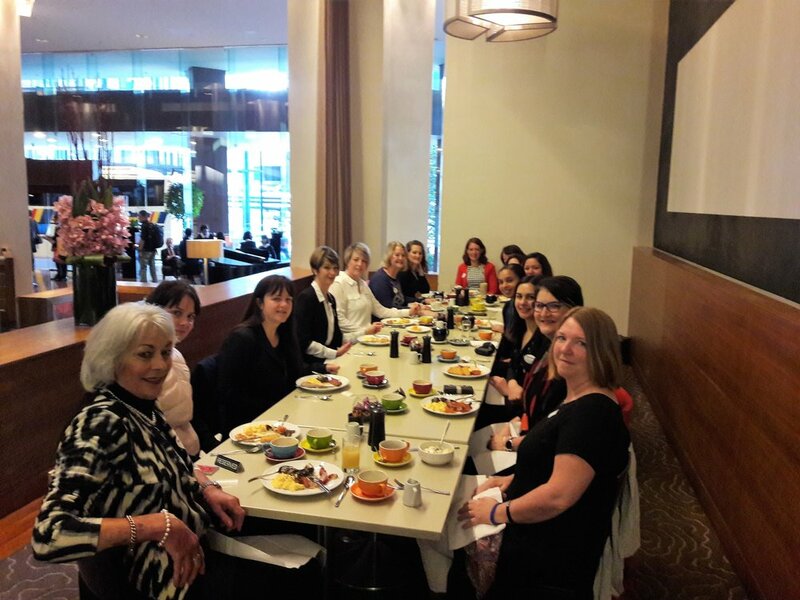 I believe that we choose to do business with people who we like, trust and respect and Business Breakfast with a Twist is great at helping make those meaningful connections in a relaxed environment. The venue is very central, the breakfast is great as there is a wide selection that caters for everyone and there is a good mixture of regular and newcomers to network with. If you’re looking for a networking group that is less formal than the normal then I would highly recommend Business Breakfast with a Twist. I started going to Breakfast with a Twist as a way of meeting other woman in business. I was looking for an environment that was friendly and relaxed where I could make personal and professional connections. 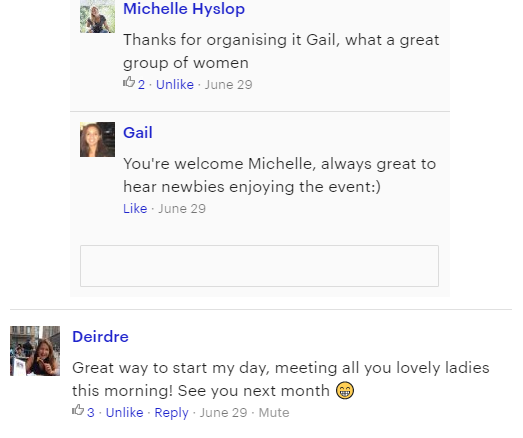 I have found these events a fun and informal way of gaining confidence and mixing with other women who are out there living life to the full. 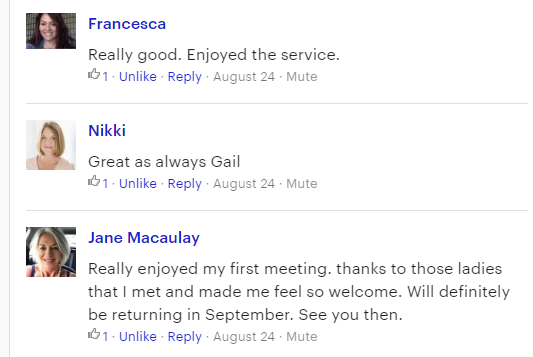 Gail has been very supportive and formats her events in a thoughtful and friendly manner. I would recommend them to anyone who is looking for a way to connect where the emphasis is not only on what you do but also who you are.